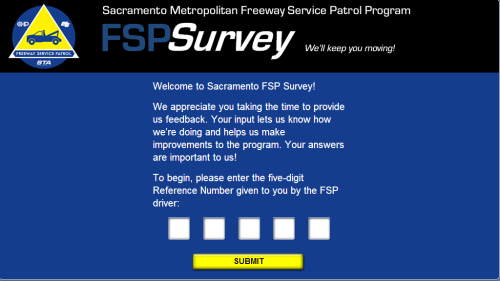 The Freeway Service Patrol (FSP) is a program that can reduce traffic jams on freeways. It helps quickly find and remove minor incidents from the freeway. How do you like the service? You can tell it your suggestions through this survey. Freeway Service Patrol operates on the Highway 99, Capital City Freeway, Interstate 5, Highway 50 and Interstate 80. It helps save Sacramento motorists over 2 million wasted hours per year.